Craigslist founder Craig Newmark lists freedible as 1 of 15 women-led startups not to be missed in 2016, in an article on the gulf between venture funding to women-led companies and their male-led counterparts. Announcing freedible as one of the winners of a $10,000 Entrepreneur Innovation Award from CTNext, Connecticut’s innovation ecosystem in a Shark Tank-style pitch event. freedible wins Audience Favorite award during The Refinery's 2016 winter cohort showcase. Freedible is honored to be chosen as one of 10 finalists competing for a research and development grant from CTNext! "CTNext, a resource for entrepreneurial support, will host the Entrepreneur Innovation Awards later this month that will award up to $10,000 to Connecticut entrepreneurs as part of a competitive pitch process..."
Announcing freedible as 1 of 5 companies chosen for the winter cohort of The Refinery, an accelerator for women-led companies. "Freedible is a small but growing site, with more passion behind it than I’ve ever seen . . . it’s a multi-faceted site with good people, great food, and a community that cares." "... The hardest thing about living with Celiac is the impression that you've come to a point where your life is restricted to restricted food choices, and your options isolate you. The wonderful thing about the social media platform, Freedible, is that is tips the tables, and turns that distorted sense of deprivation into opportunity. Full of recipes, resources, personal stories, and opportunities to create and build community, Freedible shows what I like to call the life of Free-Edibles. That's Tumbling Gluten Free. We do have options. And we are not alone. We aren't restricted, eaters, friends. We are custom eaters. Disease might have axed some options. But Celiac does not axe opportunity to explore life, and even play with good food. Hit up Freedible, join in the conversation, and get proved you're in community, not in isolation. Freedible makes the perfect sign off for a wrap up of this GFFAFest, because it provides a continued platform for the resource and community, local and remote, that showed up in Stamford. You can connect with brands, learn more about how to manage well, and live fully with whatever food sensitivity you have, and do it with friends on Freedible. I'm there often. Join me." The Connecticut Technology Council selected nearly 40 Fairfield County area technology companies among about 110 statewide on its annual “companies to watch” list published in advance of the 2015 Innovation Summit scheduled for Tuesday, November 10 at the Connecticut Convention Center in Hartford. ... Fairfield County area companies making the 2015 list include: ... Freedible of Darien." "'What would you attempt to do if you knew you could not fail? ', a few words imprinted onto a paperweight in Cheryl Viirand’s office were the impetus for her new life. 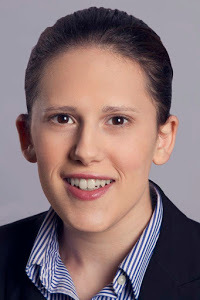 The former litigator turned social change agent knows first hand what it takes to find and embrace your true self..."
"Bring your appetite along to the newly updated “customer eater” community at Freedible.com. Whether dealing with allergies, celiac disease or intolerances, this free online platform is a virtual meeting place where bloggers, brands and home cooks interact and share their favorite recipes, reviews, tips and questions." "On today's show we are speaking to Cheryl Viirand; Founder and CEO of Freedible, Inc. Cheryl previously worked as a Wall Street Litigation attorney and in 2008 decided to redesign her life with her passions at the very core. Hear how her homework assignments in the local bookstore led her to fully unearth these passions and find her mission - launching Freedible, Inc in July 2013. . . "
Want to be happier? Retrain your brain. 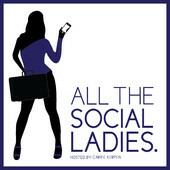 "I recently interviewed Cheryl Viirand, founder of Freedible, Inc. for my All The Social Ladies podcast. Cheryl was a litigator working with Fortune 100 companies when she decided she needed to follow her passion—and lawyering just wasn’t cutting it. I was fascinated by how Cheryl knew what her passion was—after all, I had often felt so conflicted about finding the thing that I was most passionate about. . . "
"Freedible has a great new Celiac Know-How Center! Find out more about this challenging, gluten-triggered auto-immune disorder and find additional resources in the freedible community for people who have, or think they may have, celiac disease. Check it out . . . "
"The value of Cheryl’s platform and community isn’t the money that’s paid by the click-through advertising… it’s paying for the passion that Cheryl has and the fact that she’s incapable of failing. The topic is so interwoven into Cheryl’s life now that she will always be an authority on these issues and will always be passionate in sharing her experience and expertise. . . "
"Freedible is an online community for people with food allergies, celiac disease or diabetes. Users can share advice, recipes and products that help them live with their food sensitivities." Have you heard about Freedible? "Freedible is a great place to connect with other bloggers with similar food restrictions. I find it interesting to learn more about other custom eaters..."
"Focus on what you can eat! I love Freedible because it fits right into where I started when I got the recovered-head part of this disease, as well as body. Thinking on can't and restrictions keeps me sick, if not physically, certainly mentally -- and it makes me a rigid mental misery to be around. Learning to see my edibles as 'freedibles' -- tumbling free, unrestricted -- has made me glad to be alive." Freedible. The Future of Custom Eating. "This concept is totally brilliant! Beyond brilliant, really! I can see why so many people use it. 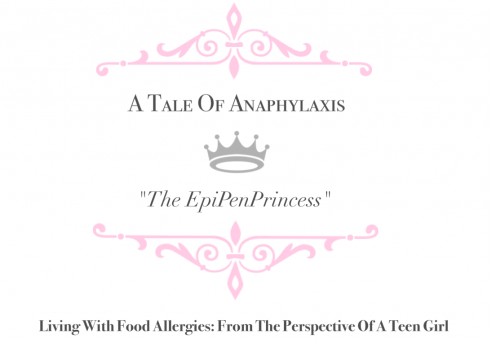 And with the increase in food allergies and sensitivities and dietary restrictions, I can only imagine this site is going to become even more popular." "Cheryl is the founder and CEO of Freedible, a groundbreaking new social site dedicated to individuals with dietary restrictions. . . Cheryl's zeal for empowering "custom eaters" is unmatched and truly inspiring. . ."
"On the first morning of sessions, I met a lady named Cheryl Viirand. Cheryl runs a website called Freedible.com, which is an online community for people who have eating restrictions. There are recipes, blogs and forums for people to connect and share. This sparked my interest, not only because of my love of nutrition, but because my mother was diagnosed with multiple food allergies last year. . ."
"When I read about this campaign, it really touched me, as I do want to make a concerted effort to provide a table full of foods that my daughter can choose from and not feel like everyone else is eating something different from her." Enjoy your Thanksgiving with Freedible! "Freedible is a new social media website for people with food allergies and other diet restrictions! When you join freedible you become a custom eater!! You can share your recipes and blog posts or read other peoples! Having allergies has its ups and downs, so we all need to stick together." Get Involved in Freedible's Thanksgiving Campaign! "Freedible is revolutionary in the culinary world. Freedible’s cookbook contains recipes from members, blogger and brands and is searchable by food restriction so you can safely choose recipes that fit the restrictions of everyone at your table. Member Jodi @ knowgluten, on her blog, knowgluten.me, November 11, 2013"
Gluten Free Resource and Social Media Party on Freedible! "...You’ll find recipes, a getting started guide and special info for kids. If you’re sort of out there on your own, this is a great place to connect. If you’ve already connected, you know what a great support other custom eaters can be. Imagine having a place to specifically hang out with them, ask questions and share tips. No gluten trolls to give you a hard time. There’s LOTS on this site, so give yourself time to explore." "I recently joined a new online community at Freedible.com. It's a place for people with food allergies, intolerances, special diets, etc., to come together and learn/share/explore with other like-minded people... For the 4th of July festivities, Freedible has started a campaign: Declare Your Independence from Food Restrictions. We're encouraged to share about how we're not letting food restrictions hold us back. This is something that I have to work on, constantly"
"I am in the process of creating my profile on here and I must say, this is such a wonderful idea. It's like facebook for the custom eater community. It's wonderful..." "I think this site has so much potential for helping people better their quality of life and am thrilled to be a part of it." "...The network is a unique and fun way to connect with others who share similar food concerns, needs, habits, and desires. Their clever motto, "because food is not one-size-fits-all," speaks to me and I'm sure that it speaks to many of you." "I checked out the website and at first glance I was hooked. Finally! A place where we can all come together and share information that may be helpful for someone who is just stepping into these shoes." 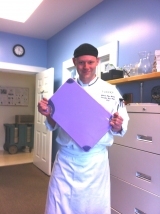 "...I think its funny that I have become so into helping guests with food restrictions and enjoy it so much. I always have been pretty good at it but really try to step it up now. 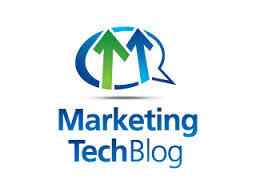 So for that I thank Cheryl, freedible's founder, and I bet [my customers] would as well...."